The latest Fallout 76 patch takes players down a mysterious road, as they hunt a mythical creature called the Sheepsquatch. Bethesda has been working diligently to try and make Fallout 76 the game that the gaming world had hoped for. Following the recent addition of the Wild Appalachia content, the publisher has added some more content to the online-only Fallout experience. That includes a new questline, some new features, and of course, a few bug fixes. The big highlight for this latest addition to Wild Appalachia looks to be an all-new questline called Lying Lowe. This tasks players with getting to the bottom of the mystery behind the disappearance of one Calvin van Lowe. A woman named Shelly van Lowe has been desperately searching for her missing brother, leaving posters all around Lewisburg. The posters hint at a strange, mythical figure known only as the Sheepsquatch. Is the wooly beast real? And if it is, will players have to do battle with it? To find out, simply travel to Lewisburg and grab one of the available "Sheepsquatch Ate My Brother" posters. Success here will be determined by more than firearm proficiency, as players will have to put their detective hats on and do some deductive research in order to find the missing Calvin van Lowe. 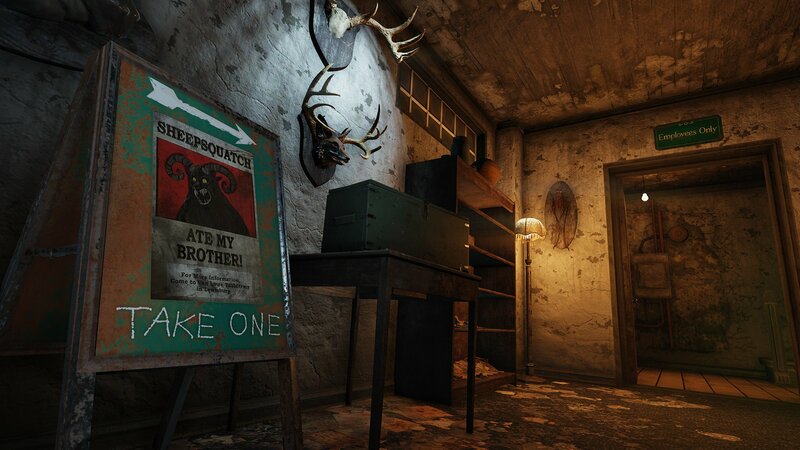 If you can't find the "Sheepsquatch Ate My Brother" poster, you can find it the easy way by visiting the Atomic Shop for a limited time. The next big piece of content will come next Tuesday, April 16 in the form of a new dungeon called The Burrows. Parties will venture underneath Harper's Ferry and confront harrowing danger. Bethesda will have more detalis on The Burrows by next week, but they are noting that this is not an adventure to undertake alone. 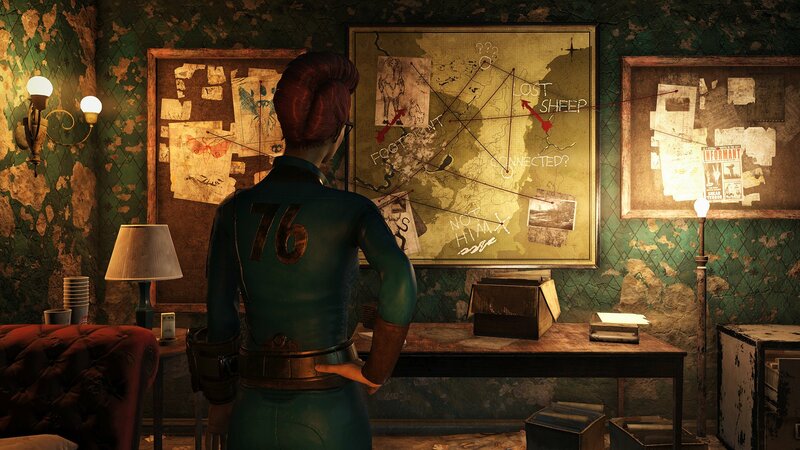 Other changes involve tweaks to the Fallout 76 user interface, turret attack damage, and Survival Mode adjustments. Bethesda has also worked to improve the game's performance, stating that they've managed to reduce client hitching around other players and creatures, as well as hitching around areas with numerous containers. The full patch notes for Patch 8 (a.k.a. PC version 1.1.2.9 and console version 1.1.2.4) can be found on the Fallout website.